For the last three years, an environmental storm has been brewing in the North Bay city of Vallejo. Some elements of the story are familiar: grassroots activists pitted against a multinational corporate developer, environmental justice versus the lure of new jobs. Add historical preservation, iconic wildlife, political shenanigans, and the unexpected involvement of the California Attorney General’s office, and the mix becomes more complex. An Irish cement company and its local partners want to build a processing plant and a marine terminal at the site of a long-closed flour mill on the east bank of the Napa River. Citing concerns over air quality and other impacts, the Vallejo Planning Commission rejected the applicants’ permit in 2017, a decision that the cement company appealed. City Council members whose campaigns had been funded by the developers postponed action on the appeal pending completion of what the city calls a Draft Final Environmental Impact Report, originally expected in November. Meanwhile, a broad spectrum of community groups has come together as Fresh Air Vallejo to oppose the project, and this year’s elections may have changed the balance on the Council. On November 7, the state Department of Justice weighed in with a scathing analysis of the deficiencies of the EIR, as well as the Environmental Justice and Air Quality analyses prepared for the project. This reset the clock for the city’s next action. The DOJ’s letter suggests that even if the cement production process itself would have limited impact on air and water quality, emissions from the associated operations of the marine terminal would call into question whether the project is suitable for a city already beset by a legacy of pollution and other challenges. Vallejo has a lot going for it: a scenic location where San Pablo Bay meets the Carquinez Strait and the Napa River, a rich history, a unique degree of ethnic diversity (with almost equal proportions of African-American, Asian-American, Hispanic, and white residents, and a sprinkling of Pacific Islanders and others). The city has become a refuge for artists and bohemians priced out of San Francisco and the East Bay; events like the Obtainium Cup Rally and the Mad Hatter Parade give Vallejo some of the quirk that Berkeley is losing. But it’s not a wealthy town: 18 percent of its residents are below the poverty line, a higher proportion than its county, Solano (13 per cent) or California as a whole (16.) Many civilian jobs were lost when Mare Island Naval Shipyard closed in 1996, and the new businesses and government offices repopulating the base haven’t replaced them. Vallejo also bears a heavy pollution burden. The former shipyard is a Superfund site, and the city lies in the middle of the refinery corridor that extends from Richmond to Martinez and Benicia. South Vallejo, where the plant and terminal would be located, is a predominantly African-American community whose residents, according to the California Environmental Protection Agency, have extremely high rates of asthma and cardiovascular disease and a high incidence of low-weight births. The historic Sperry Mill on the Napa River and proposed site of the Vallejo Marine Terminal and cement plant. Photo: Omni c Pictures/TJ Walkup, from Riverfront Ruckus & White Washed Tombs film in production. Enter Orcem, the Texas-based subsidiary of Ecocem, headquartered in Dublin with operations in Ireland, France, and the Netherlands, a manufacturer of “green cement”—green in the sense that its process involves lower carbon dioxide emissions than traditional cement manufacturing. Ecocem represents itself as more environmentally friendly than conventional cement manufacturers. On a web page describing the Vallejo project, Orcem claims its process involves “near zero CO2 footprint and zero mercury omissions” as well as “up to 80 per cent reduction in emission of air pollutants such as nitrogen and sulfur oxides” compared with conventional methods. The Vallejo plant would use granulated blast furnace slag, a waste product from iron and steel mills, to produce cement. The slag used at the Vallejo plant would be unloaded at the Vallejo Marine Terminal, to be built by the eponymous company founded by Blaise Fettig of Vortex Marine. Vortex made the news last year when one of its barges capsized in San Francisco Bay and settled on top of BART’s Transbay Tube; the company also has a checkered labor relations history. 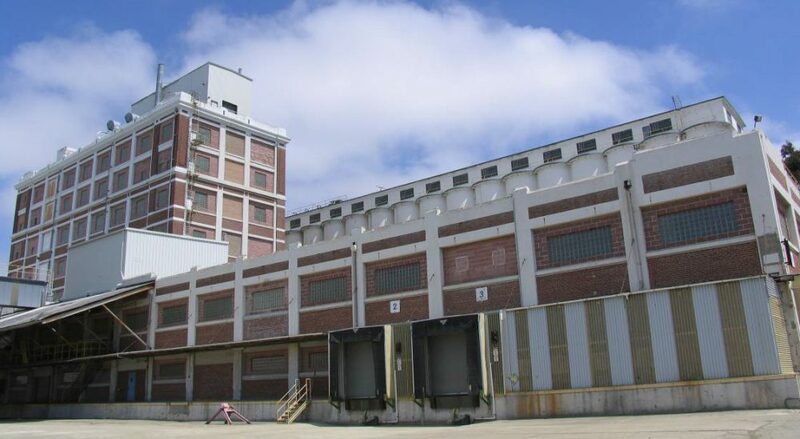 Orcem and VMT would take over the site of the Sperry flour mill, operated by General Mills until 1992 and subsequently designated a city and state historic landmark. Despite that status, the existing mill structures, where ospreys—formerly endangered birds making a recent comeback in the area–have nested in recent years, would be demolished. The mill site abuts a hilly neighborhood with modest, well-kept homes churches, parks, a senior center, and an elementary school. Peter Brooks, Fresh Air Vallejo’s president, says he first became aware of the Orcem/VMT plans when a draft EIR for the project appeared on the city’s web site in the fall of 2015. A public relations executive from San Francisco, Brooks moved to Vallejo nine years ago, fell in love with the town, and connected with locals who had successfully fought a proposed liquid natural gas company on Mare Island. “The project was presented as a great opportunity,” he recalls—a generator of much-needed jobs. Cement plants can be problematic neighbors. The Cemex plant at Davenport, on the Santa Cruz County coast, closed in 2009 after dangerous levels of carcinogenic hexavalent chromium were found in and around the facility. Near Cupertino, the Lehigh Southwest plant has been wrangling with the San Francisco Bay Regional Water Quality Control Board over discharges into Permanente Creek since 2008, resulting in a $301,000 penalty. With such precedents, the proposed project struck Brooks and others as a poor fit for Vallejo. Brooks and his allies pressured the city to schedule additional public meetings on the EIR and helped generate a deluge of citizen comments. Fresh Air Vallejo grew out of that effort. 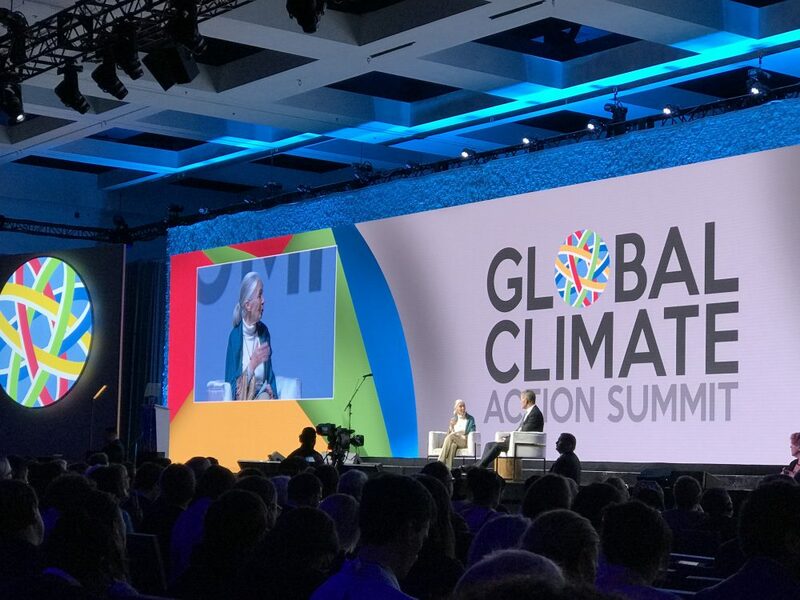 Its supporters now include not just environmental and environment-justice groups (San Francisco Baykeeper, Sierra Club, Sunflower Alliance) but unions (the International Longshore and Warehouse Union and Service Employee International Union), civil rights groups (the NAACP), businesses, and student organizations. The group found disturbing anomalies in the EIR’s air quality analysis. Jay Gunkelman, formerly with the Bay Area Air Quality Management District (BAAQMD), says the report’s emissions analysis was based on “fraudulent science,” inappropriately applied rural monitoring methodology to an urban setting, and understated the impact of cement dust releases and the emission of carcinogenic and otherwise toxic chemicals. Earlier this year, BAAQMD advised the city of 17 areas of concern with the project’s Health Risk Analysis, including data discrepancies and failure to identify specific emissions sources. Fresh Air Vallejo has also raised red flags about the almost round-the-clock truck traffic and continuous lighting at the plant. There’s also concern that, in addition to slag and other cement components, the marine terminal could be used to handle coal shipments. Oakland’s recent termination of the lease for a planned coal terminal at the former Oakland Army Base might make that more likely. Backing the Orcem/VMT venture is the Mare Island Straits Economic Development Committee, chaired by City Council member Jess Malgapo and aligned with the JumpStart Vallejo Political Action Committee. According to the Vallejo Times-Herald, Orcem and VMT have contributed to the JumpStart PAC, funding the campaigns of Malgapo and fellow Council members Pippin Dew, Hermie Sunga, and Rozzana Verder-Aliga in 2016 and 2018. The four of them made up the majority that voted in 2017 to override the Planning Commission’s rejection of the Orcem/VMT permit applications. Fresh Air Vallejo dubbed them the “Orcem Four.” Brooks says it was learned through a Freedom of Information Act request that Malgapo and his allies met secretly with Orcem/VMT representatives to discuss the project. Malgapo and Dew, endorsed by JumpStart Vallejo, were up for re-election this year, as was Katy Miessner, who had been in the minority in the 2017 vote. JumpStart also backed challenger Hakeem Brown, owner and operator of a local cannabis business. During the campaign, Orcem/VMT became the proverbial elephant in the living room. City Attorney Claudia Quintana advised the three incumbents not to comment on the issue because of the pending appeal, and they all appear to have complied. “The City Council, in an appeal, sits in a quasi-judicial capacity,” Quintana told the Times-Herald. If a Council member made statements that appeared to be pre-judging the case, she said, any subsequent decision could be invalidated. Although Quintana clarified that this did not apply to Brown and the other non-incumbent, Brown acted as if it had. In the document, Ganahl stated that the EIR did not consider existing environmental conditions that would be exacerbated by the project, or account for its cumulative impacts. In particular, the Air Analysis “suffers from numerous, significant analytical flaws that substantially underestimate the Project’s air emissions,” including toxins and carcinogens like lead, arsenic, cadmium, and chromium. For just one component, the impact of diesel emissions from ships docked at the terminal, she said the actual excess lifetime cancer risk would be 70 times the mitigated risk presented in the analysis. Nitrous oxide emissions would exceed the BAAQMD’s threshold. Proposed mitigation for other impacts, such as the release of hazardous materials, the loss of subtidal and intertidal habitat, and increased truck traffic through residential areas, was characterized as inadequate. Ganahl also pointed out that the EIR did not identify “any enforceable condition that would prevent the handling or transport of coal” through the VMT. Brooks, who says Fresh Air Vallejo had not engaged with the Department of Justice beyond an initial letter, add that “it’s very encouraging to have fresh eyes on the situation.” Although not legally binding, DOJ’s letter prompted a swift reaction from City Manager Greg Nyhoff, who postponed the release of the EIR until January. The reference to “the regulatory agency for air quality in the Bay Area” seems to imply that the BAAQMD has taken an official position on the project. However, Ralph Borrmann of the BAAQMD staff says that the agency has made no such public statement, that Orcem’s permit application is currently incomplete, and that no application has been received from VMT. At press time, Orcem had not responded to an email requesting clarification of Vaccaro’s statement and a comment on the substantive issues raised by the DOJ. 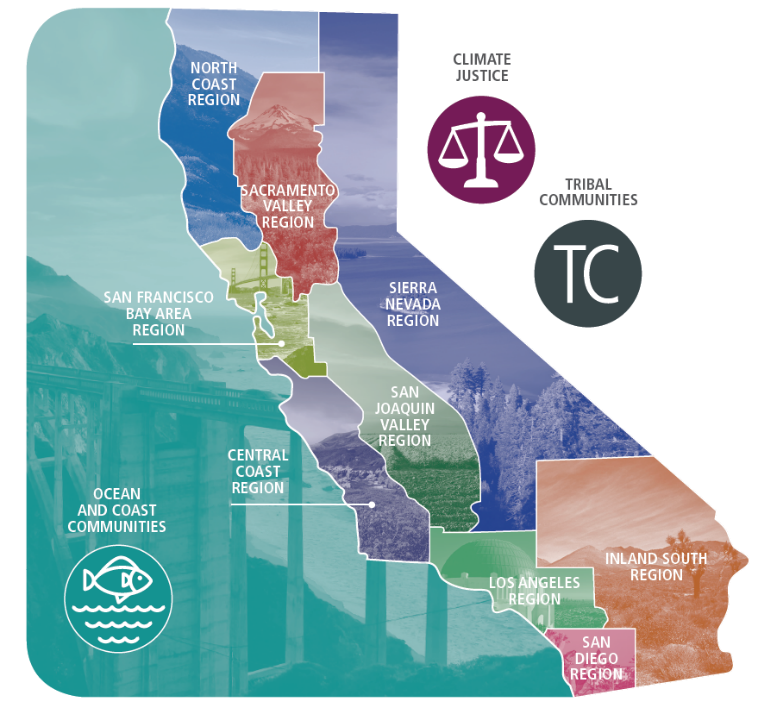 Beyond the city, the Orcem/VMT project would be subject to review by the BAAQMD, the Bay Conservation and Development Commission, likely other state and federal agencies. Prepping for Sea Level Rise—Who’s on First?